The NRS Group have four decades experience in delivering a wide range of major, high quality building and civil engineering projects for a wide range of Clients across all sectors. The company was formed by Mr. Noel Regan Snr. in 1973, and in that same year, successfully secured and completed its first construction contract. Now, four decades later the same family business has grown into a leading building and civil engineering contractor, with turnovers in excess of 40 million. They operate their own large, impressive, diverse fleet of plant and machinery which is capable of servicing numerous large scale projects at any one time. 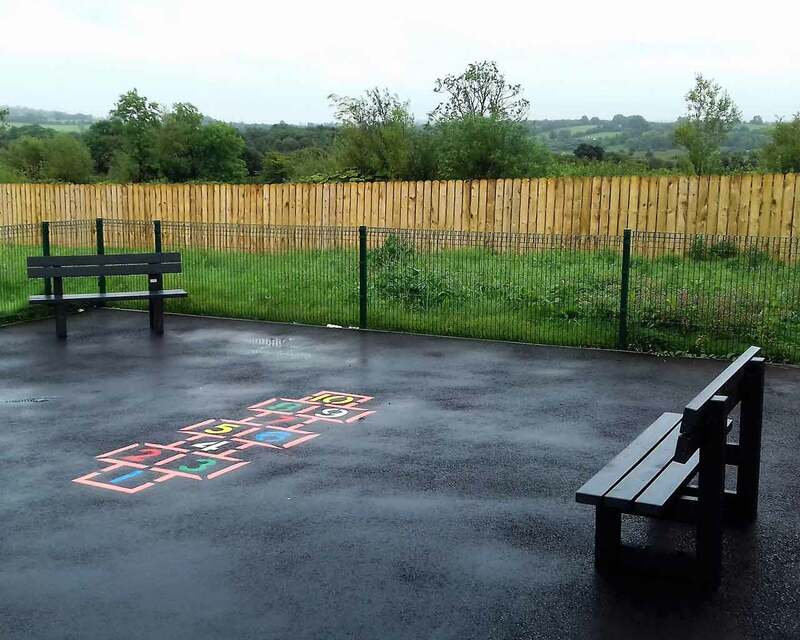 NRS were looking for comfortable seating suitable for a Playground at Ballinacarrow Co. Sligo. The seating had to be child friendly – correct height, splinter free, sturdy , durable and maintenance free. The benches had to be secured and our client needed to know how this was to be done. We explained to the client that we had done similar projects and sent him photographs of same. 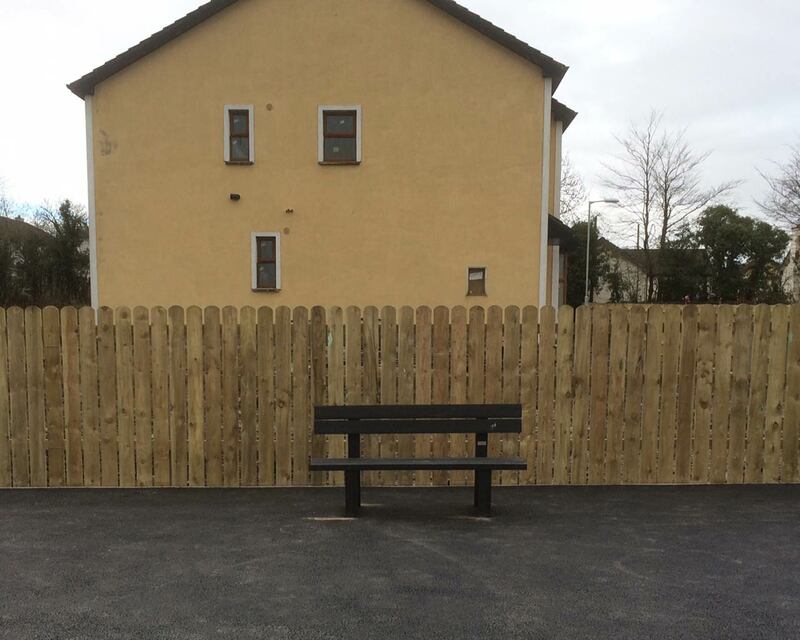 Also Sligo County Council have used Murray recycled plastic benches on a number of projects. We explained the benefits of our maintenance free outdoor furniture as they are durable, rot- proof, colour and texture permanent and ideal for picnic areas, public gardens, schools and campgrounds. After listening to our customers needs we supplied the benches on time and gave them the necessary information on securing them in place. Why use Murray’s Recycled Plastic Benches & Picnic Tables? All our maintenance free outdoor furniture is splinter free – making it safe for everyone, especially children. The bonus of the benches being maintenance free is that there will never be any sanding, painting or treatment of any kind – ever. Our products give the customer peace of mind as they are weatherproof and will never rot when exposed to harsh marine environments – such as our Irish weather. They are sturdy, practical and durable and the perfect solution for domestic use and public spaces. Our outdoor furniture is very strong and robust and is crafted to the highest standards. 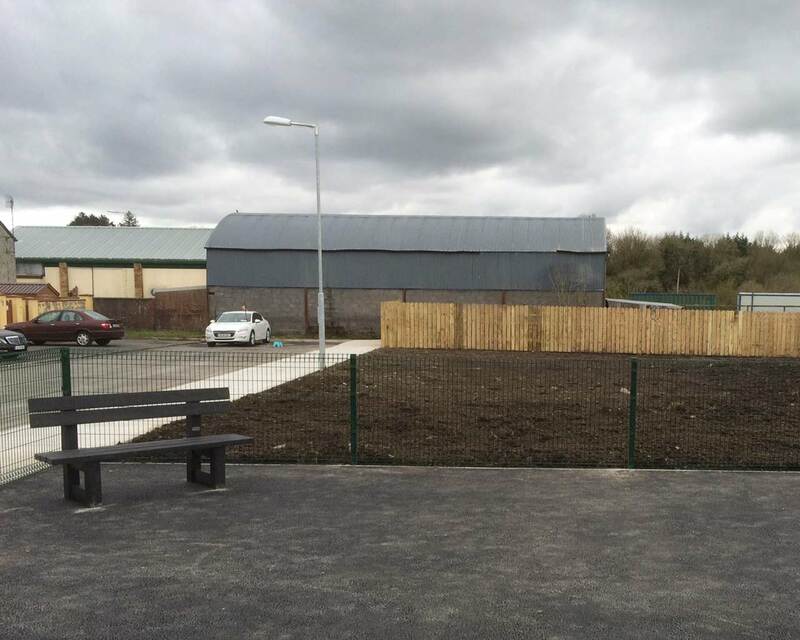 Murrays Recycled Plastic supplied us with 3 Claggan Benches, which were installed in a kids playground area on a housing estate in County Sligo. The benches were made from recycled plastic, very sturdy and heavy as required in a playground and they were available in a number of colours. The County Council are also very satisfied with the benches, which require no maintenance and are securely fixed in position.We will definitely deal with Murrays again as the product supplied, along with information provided and service given were all excellent.